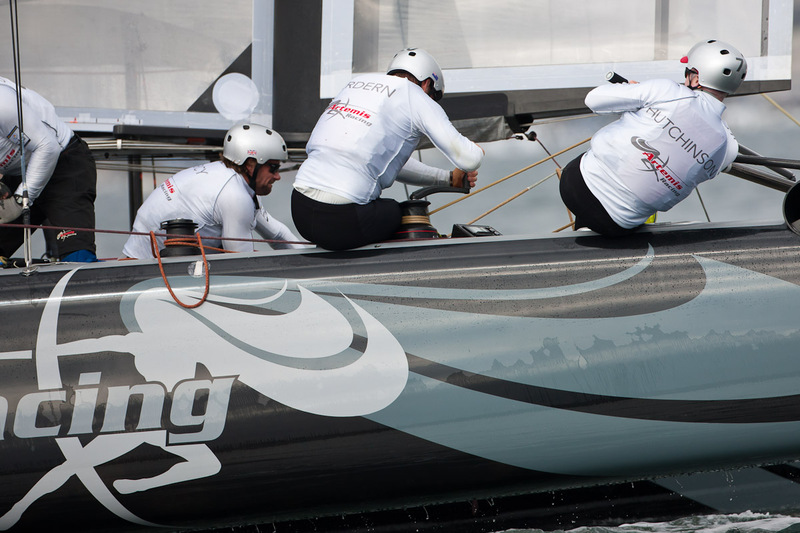 Lining up against France’s Energy Team this afternoon for the semi-finals of the Match Racing Championships, the first team to take two wins would advance to the Finals against ORACLE Racing Spithill tomorrow. 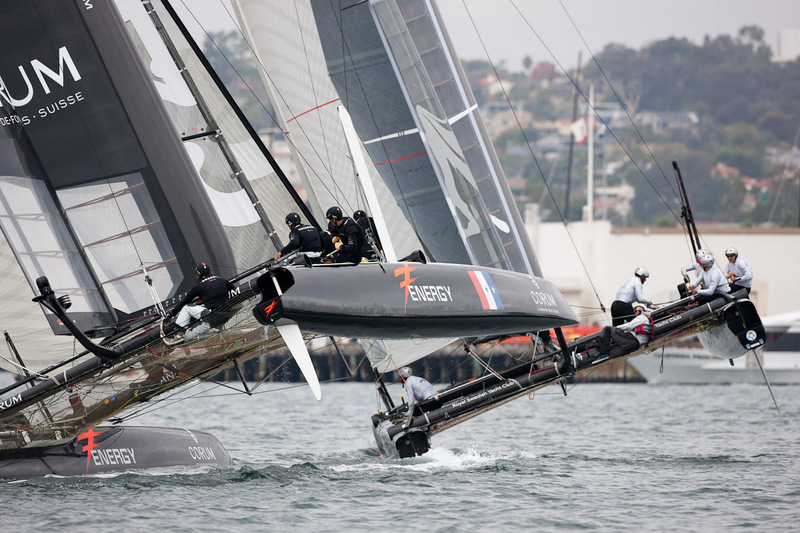 Terry Hutchinson and the crew onboard Artemis Racing executed perfect match racing starts in both races to take the lead off the line each time. 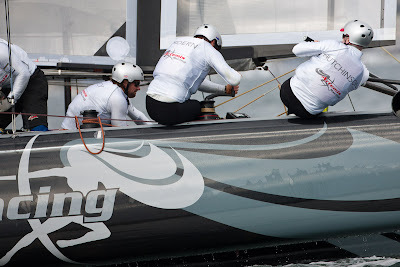 Yet in race one, a knot in the gennaker sheet cost the Swedish team precious time in the first gybe. 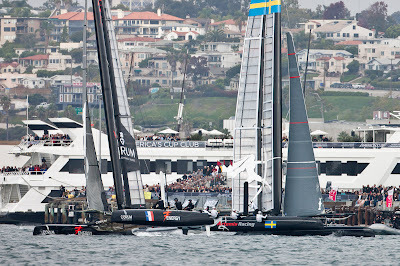 From there Artemis Racing executed a good race but did not manage to catch the French team who took the win. In race two the teams split at the bottom mark and Energy Team got the shift they needed on the right side of the course to win the much needed race. “As we know with our sport, with mother nature it is a game of averages. If we continue to do the majority of things properly you have to trust that they are going to come our way. I continue to be impressed with our team and how we perform when our backs’ are against the wall. That’s a sign of great things to come. The hard bit is getting there. We are building something new, we are building a new team. We have to continue to endure and support each other,” said Terry. Meanwhile, in Lanzarote Artemis Racing is at the top of the leaderboard at the RC44 World Championships with Chairman Torbjorn Tornqvist at the helm with Morgan Larson calling tactics. Racing continues tomorrow in both San Diego (where Artemis lines up against Emirates Team New Zealand) and Lanzarote.